David Owen Filson joins us to speak about Dr. J. Oliver Buswell, theologian and former president of Wheaton College and Covenant College and Seminary. Buswell was involved with the early modernist-fundamentalist controversy and the founding of the Orthodox Presbyterian Church, though he joined the Bible Presbyterian Church when it split with the fledgling OPC over premillennialism and teetotalism. He continued to be an interlocutor with members of the OPC and faculty at Westminster Theological Seminary in Philadelphia. 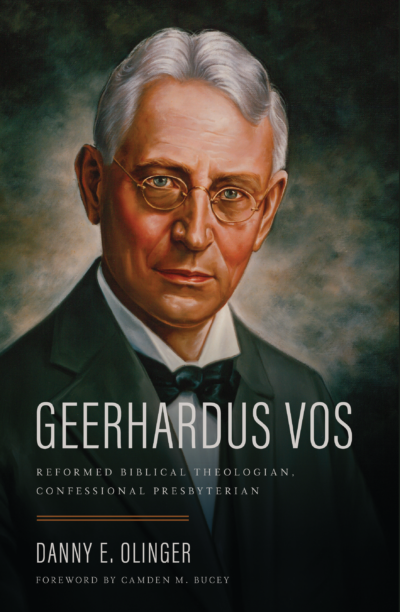 Interestingly, he coined the term “presuppositionalism” while debating with Cornelius Van Til over apologetic and theological method. East of Eden considers Jonathan Edwards’s sermon, “Blessed Struggle,” which was delivered in 1735. East of Eden considers Jonathan Edwards’s sermon “The Sorrows of the Bereaved Spread before Jesus,” which was delivered in 1741. East of Eden considers the Theology and experiential application of Jonathan Edwards’s sermon “Self-Examination and the Lord’s Supper” from 1 Corinthians 11:28–29 and delivered first March 21, 1731. Each of us uses multiple tools each day as part of a variety of workflows that help us accomplish tasks throughout the day. We dive into the workflow tips and tricks to share several of our favorites for reading, writing, and managing information. The panel discusses Jonathan Edwards’s sermon, “A Divine and Supernatural Light” delivered at Northampton and subsequently published in 1734. Christ the Center is pleased to welcome Dr. Dane Ortlund to speak about Jonathan Edwards’s views of the Christian life. Ortlund is Senior Vice President of Bible Publishing at Crossway and the author of the book Edwards on the Christian Life: Alive to the Beauty of God. This book is in the Theologians on the Christian Life series edited by Stephen J. Nichols and Justin Taylor and published by Crossway. Join us for a fascinating discussion of a brilliant theological mind considering what it means to live before the beauty of Christ.